Taken with Olympus E-500 digital camera 26th March, 2007. Click image for larger view. I really enjoy taking photos of the small wonders in nature. Like these crowberries (Empetrum nigrum) that are remains from last summer. Crowberries is a small evergreen shrub with edible black fruit. They are not used much here, but are getting more popular for making juice and wine. Cool. That’s a really nice photo. How close can you get with that macro lens? 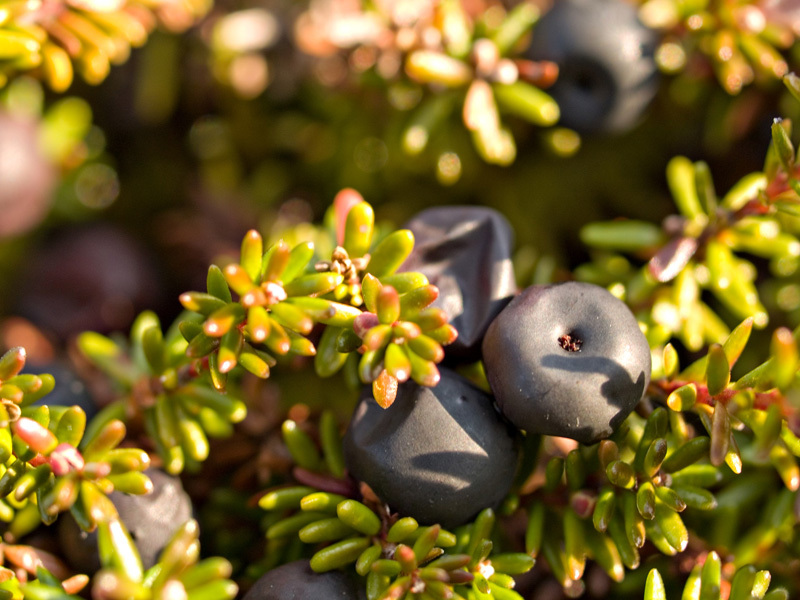 Also, do they really make wine and stuff out of crowberry? You can get very close with the lens. A bit too close for my taste since it’s 35mm. Wish I had a “longer” macro lens so I could be a bit away when taking shots of insects. This photo is very good. Fragrant smell that Buddha can smell it that walk back and forth. The grape of Taiwan is very delicious too oh! FÃ¥r lyst pÃ¥ krekling nÃ¥r jeg ser dette bildet. Brukte Ã¥ spise det som barn, da smakte det godt. Jeg har hÃ¸rt at de produserer krekling vin, men har aldri smakt det. Wow, that’s an excellent shot. It’s amazing how those crowberries are still holding on.